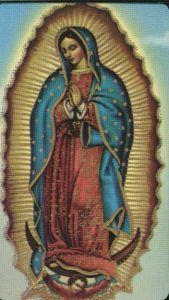 Join us for a parish pilgrimage to the Shrine of Our Lady of Guadalupe near LaCrosse, Wisc. It will be a day (or optional, two-day) visit this beautiful shrine with optional visits to Fr. Bob’s family dairy! Don’t miss this wonderful experience! See this flyer for more details.